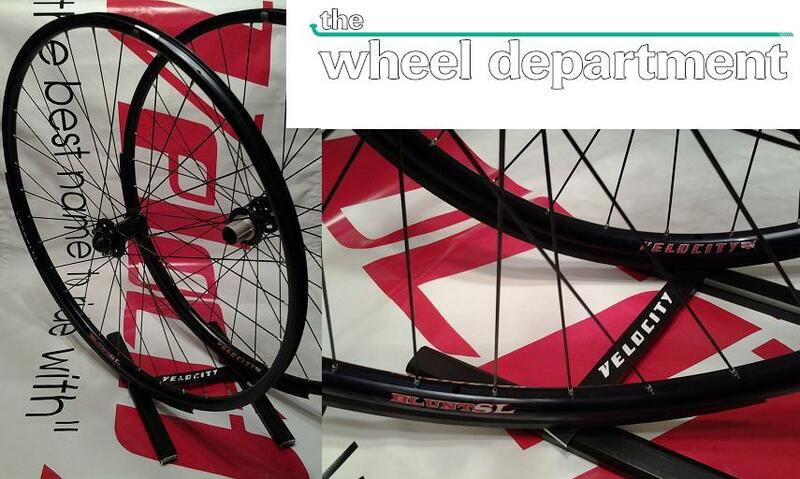 WEMS would like to give Velocity USA out of Grand Rapids, MI a big THANK YOU for donating a brand new set of their 29er Blunt SL Pro Disc wheels (MSRP: $799.99) which comes with a convertible front hub for 15mm thru axle and a convertible 142x12mm rear thru axle. Other Velocity give aways are 60% off gift certificates, 3 per each event for the remaining season. For more info on these wheels or to purchase your own, please check out The Wheel Department. These wheels will be on display at a WEMS race near you. A lucky racer will get a chance to keep these wheels at the end of the season. How does a racer end up with these wheels? You must first register for a series number plate and then you must compete in as many WEMS races as possible to increase your odds of winning. Once you have a WEMS Series number plate, you are then allowed to fill out a ticket and slip it into the drawing box. Again, this is ONLY for Registered Series Racers. There will also be other prizes at the end of the year to give away to Series Racers as an award for commitment.